Biography: Katsumi Kishino earned his Bachelor’s, Master’s, and Doctorate degrees in Engineering from the Tokyo Institute of Technology, Tokyo, Japan, in 1975, 1977, and 1980, respectively. From 1980 to 1984, he was a Research Associate at Tokyo Institute of Technology. In 1984, he joined the Department of Electrical and Electronics Engineering, Sophia University, Tokyo, as a Lecturer. Then, he was appointed as an Associate Professor in 1986 and a Professor in 1992. He is conducting research on nitride semiconductors by rf-MBE including GaN-based nanocolumn, InGaN-based nanodevices and InN-related materials, and on novel II-VI compounds on InP substrates and related yellow-green emitters. From Sept. 1989 to Aug. 1990, he worked on the first stage of research of resonant-cavity-enhanced (RCE) photodetectors as a Visiting Associate Professor at the University of Illinois at Urbana-Champaign, on leave from Sophia University. 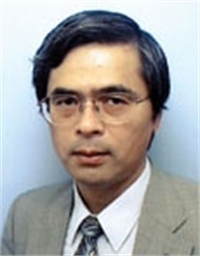 Dr. Kishino is a fellow of the Japan Society of Applied Physics and the Institute of Electronics, Information and Communication Engineers (IEICE) of Japan, and a senior member of IEEE.